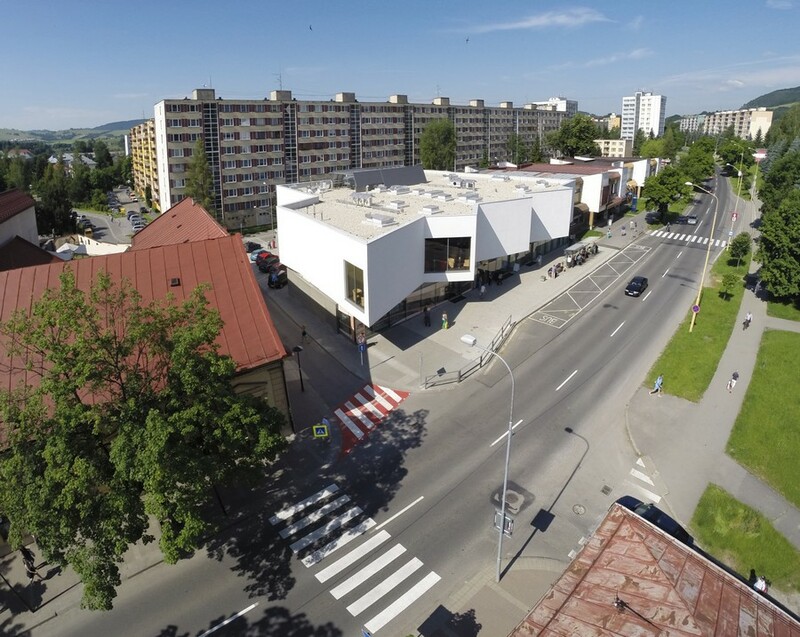 Brezno Retail Building, Slovakia – design by Architekti Šebo Lichý s.r.o. Design: Architekti Šebo Lichý s.r.o. An extraordinary construction of shopping center abstractly evokes the nearby mountains of The Low Tatras, which are part of the national treasure of our small country. 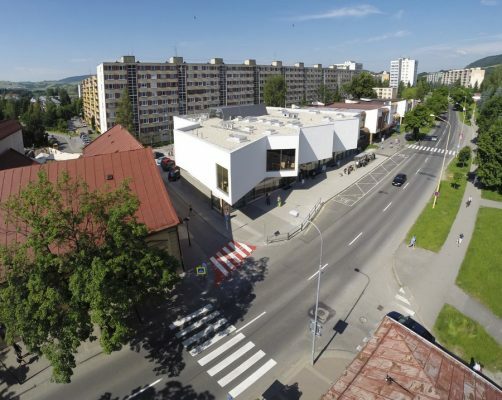 The Shopping Centre in Brezno building is situated in heterogeneous locality, where historical part of the city meets with the block of flats from the ’80s. 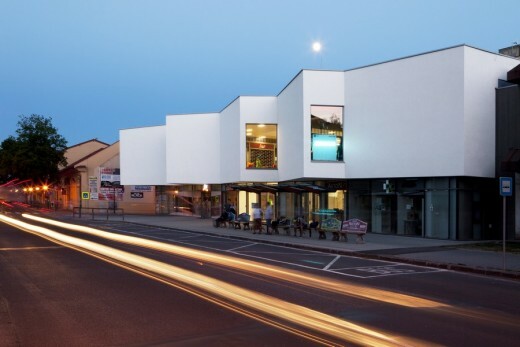 That makes it the perfect location for shopping center, which creates transition between housing development and an old city part, achieved through visual elimination of the block of flats hidden behind the shopping center. Architecture and the shape of the front facade of the building leaves strong memory footprint thanks to the abstract portrayal of the mountains. The mall is openly visible from the city entrance thus attracts visitors with it’s upper floor vistas and window openings oriented to the both directions of the road. An extension of pedestrian area is achieved through an overlap of the upper floor over the sidewalk level, which also serves as the shelter for people waiting on the frequently used bus station next to the shopping mall. Inside newly built shopping center the store units are designed on the two over ground floors. Storey space is visually connected with an open gallery, which also adds some airiness and nobleness to the entrance area and creates clear orientation inside the object. An architectural solution of the shopping mall uses the best from the surrounding environment both in practical and visual way. Shopping Centre in Brezno images / information from Architekti Šebo Lichý s.r.o. Website : Architekti Šebo Lichý s.r.o.